Home › Blog › Is there anything better than wine and chocolate? Is there anything better than wine and chocolate? The only thing better than wine and chocolate is when they are expertly paired to deliver a harmonious balance of flavours. This is what you can experience at Days of Wine & Chocolate. So mark your calendars as this popular touring pass program is only a couple of weeks away! 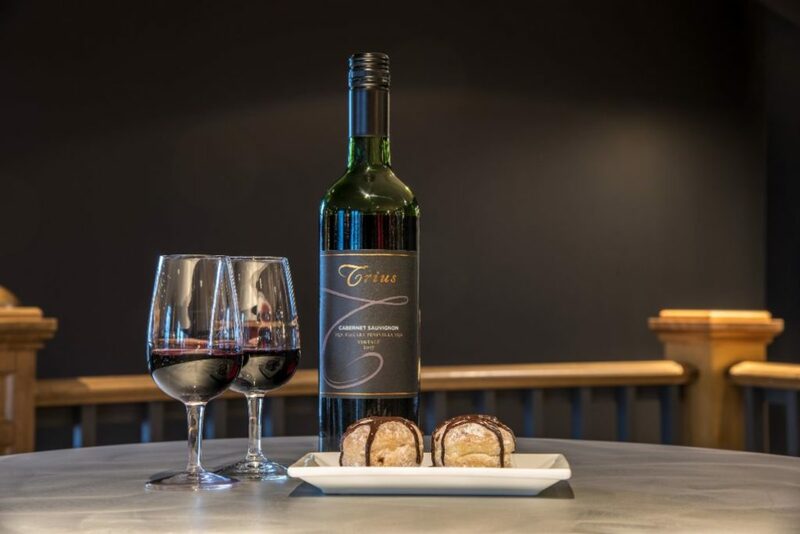 Get ready to explore the decadently sweet and savoury art of wine and chocolate pairing at the Wineries of Niagara-on-the-Lake every weekend in February. Visit our member wineries and taste over 20 premium VQA wines perfectly paired with chocolate-infused dishes. There is something to satisfy everyone’s palate from classically sweet flavour combinations to unexpected surprises. 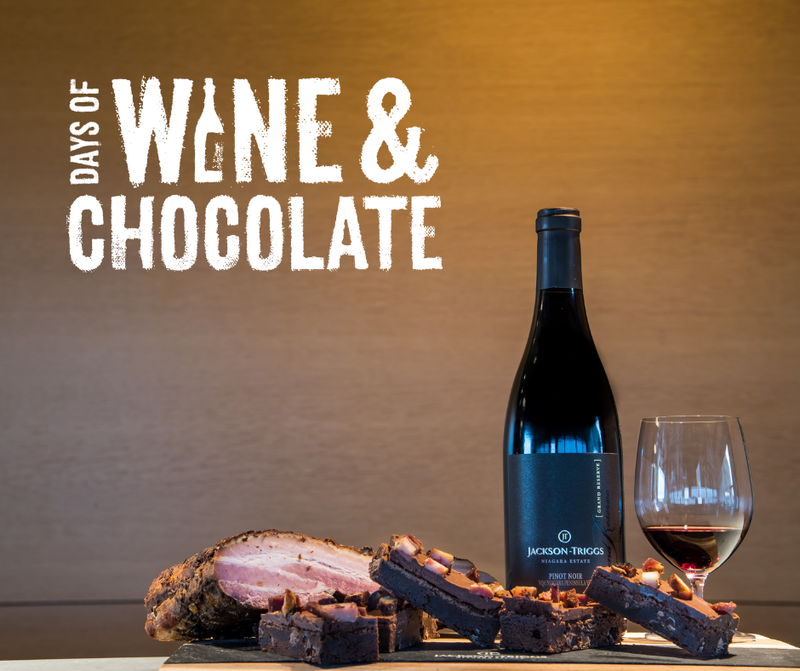 The Days of Wine & Chocolate pass entitles you to one VQA wine tasting and food pairing at each of our 26 member wineries and is valid February 1-3, 8-10, 15-17, and 22-24 from 11am to 5pm. Driver passes are also available for purchase and they include one non-alcoholic beverage and food pairing at each member winery. Take a look at this year’s pairings! Our wineries have come up with some brilliant combinations that are sure to impress. From rich and indulgent sweet treats to inspired savoury creations – these mouth-watering delights are enhanced by the exceptional VQA wines that accompany them. The Days of Wine & Chocolate touring pass program offers exceptional value and it’s a great way to embrace the winter season in the heart of wine country. We encourage you to plan your winery visits over a few weekends so you can savour the decadent pairings at a relaxed pace and make the most of the experience. If you are travelling with a group of eight or more we recommend calling ahead to wineries you plan to visit with an approximate arrival time so hosts can plan for your group’s arrival. Whether you are interested in a romantic celebration for two or a fun girls’ getaway weekend, Days of Wine & Chocolate is the must-do event of the season in Niagara-on-the-Lake. PURCHASE YOUR PASS today and download the Wineries of Niagara-on-the-Lake map to plan your personalized route.